Refreshing craft beer straight from your countertop tap! bring 5-liters of your favorite craft brew right into your kitchen, and keep it cold and fresh for 30+ days after tapping. 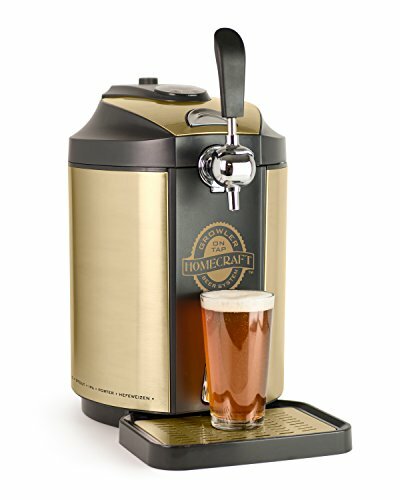 Fill the included 5-liter keg growler, or use any standard pressurized or non-pressurized mini keg. An easy-pull tap handle makes dispensing easy, while a removable drip tray catches any drips.